This workshop will introduce participants to some basic book binding techniques, by creating mini books. Each participant will create folded book structures including x books and ox plough. Fold and glue structures including flip-flip and guest books. Lastly, more complex book structures including accordion with hard cover and a stitched Japanese binding. Those that have previously attended the linocutting or other printmaking workshops may like to bind selected prints into their own Artists book. Cost: $85 for Bittondi members and $105 for non-members. 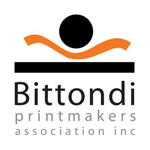 For non-members this fee includes a 1 year associate membership for Bittondi Printmakers Association Inc. Maximum of 8 participants. What to bring: Any prints from previous workshops, including the ‘not quite good enough ones’, lunch (there are shops next to the studio). All other materials and tea/coffee are provided. RSVP: To confirm your attendance, please contact Mary at maryp_artist@yahoo.com.au or phone 0414361817 prior to 1st October 2018.